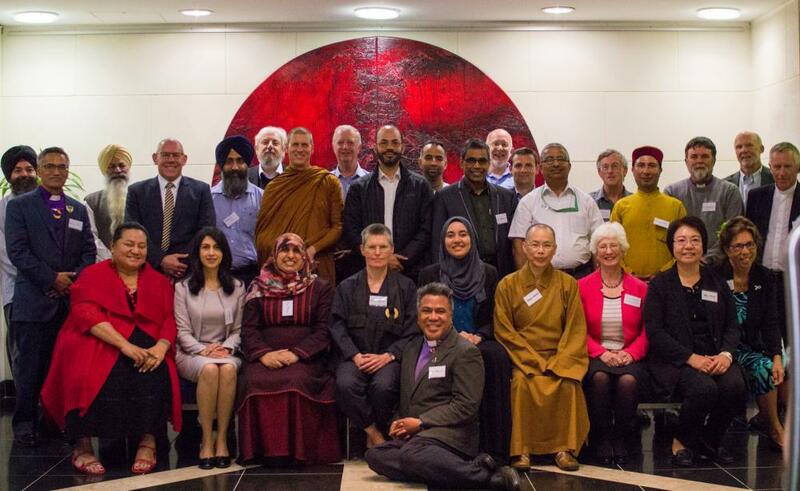 This year, over 20 monks and nuns from diverse Buddhist communities in the Auckland region communities have been enjoying the opportunity to improve their English and meet each other. 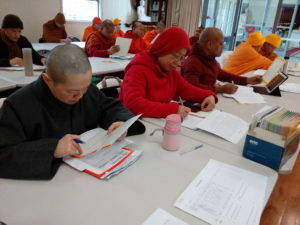 The monastics are based at temples and small centres around the Auckland region, and connected with immigrant communities from places such as Sri Lanka, Burma, Thailand, Laos, Cambodia, Vietnam and Taiwan. 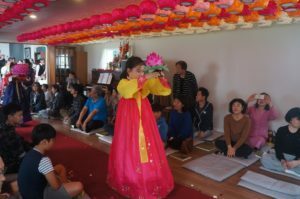 Rukman Wagachchi from the Buddhist Council organised the classes, which were held at the Srilankaramaya temple in Otahuhu. The Level One English class was free for learners with Permanent Residency (12 participants had PR and 17 participants did not). Classes ran two days a week, Tuesdays & Thursdays for half a day each week from April to August 2017. Tutors from the Manukau Institute of Technology taught the course, and they were briefed about how to treat the monastics respectfully. New Zealand has a high rate of suicides. UK-based psychologist John Henden recently visited New Zealand to teach strategies for working with people at risk of killing themselves. He also wrote this article. In Hastings this August, he taught a One Day Intensive Workshop, with 120 people attending. John Henden has 30 years’ experience in the field, in different intervention centres with different degrees of success. He and others in this area of work have identified basic ways to rapidly build rapport, engage empathically with people, then use specific question techniques to help turn their minds away from considering suicide and into considering other ways of ending their suffering.